In keeping with the time-honored tradition of being a draw for wealthy residents looking for the best South Carolina has to offer, the recent record-breaking sale of a Mediterranean-style home inspired by “European seaside villas of the Renaissance era” is a show of strength for the Isle of Palms. According to a Dec. 6, 2017 article from The Post and Courier newspaper, the $6.4 million sale of the new home that was built in 2015 is in keeping with a “notable upswing in demand for high-caliber beachfront homes,” a listing professional told the newspaper. The good news that stems from this sale is two-fold. For starters, Isle of Palms rentals that are currently on the market can be had for far less than the record-setting price that’s noted above. The second perk of becoming a part of the Isle of Palms community is that it’s clearly a good time to get acquainted, as the report notes that “Charleston’s barrier island market is well positioned for continued growth." For the uninitiated, Isle of Palms is a city of about 4,300 residents, located along the Atlantic Ocean and a mere 17 miles from downtown Charleston. Within its 5.4 square miles, full-time residents, seasonal visitors and those booking Isle of Palms rentals will find much to enjoy. These attractions include the Isle of Palms County Park and the beachfront real estate it boasts, the appropriately-named Goat Island, the world-class 1,600-acre Wild Dunes resort and golf course established in 1972 and no shortage of seafood joints – which should come as no surprise given the location. 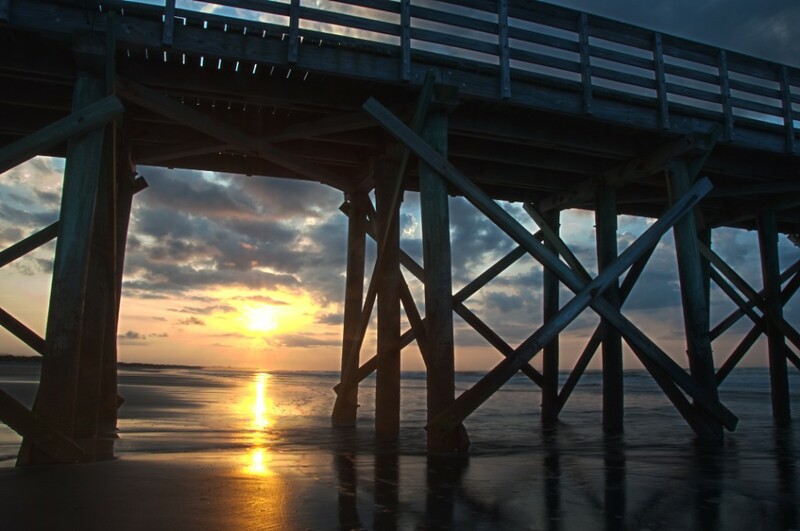 From top to bottom, Isle of Palms is a seven-mile stretch of serene seaside views boosted by attractions that will entertain visitors of all ages. However, the prerequisite to finding Isle of Palm rentals that fit your family’s bill is through partnering with a local real estate services company that can boast decades worth of industry experience plus local know-how. Carolina One Real Estate Services, which is one local resource with realtors whose knowledge of the Charleston area is unrivaled, can be consulted for the latest information on Isle of Palms rentals. Not only can you glean the latest information on real estate developments and vacation homes in this desirable location, but you’ll have a Carolina One Real Estate Services associate on your side who can find you the exact property and neighborhood to fit your needs. If you’ve ever needed a good reason to invest in a beach house, consider the climate across wide swaths of the U.S. during the last days of 2017. With lows in the teens for a seven-day stretch and snow expected in New York City, it was going to be bitter cold for quite some time even in a region where extreme lows are rare. Even farther south in Maryland, stretches of snow and bitter cold were expected from Dec. 27 well into the first days of 2018. According to a CNN report published during the last week of the year, the brutal and bitter cold was expected to affect 48 million Americans living in regions that were part of a wind chill advisory. The report notes that Boston could record a low of just 5 degrees on New Year’s Day and Erie, Pennsylvania logged nearly 63 inches of snow just after Christmas. It all adds up to a rather miserable time along most of the Eastern Seaboard – unless of course you’re in South Carolina. Here on the “Edge of America,” as Folly Beach is known, temperatures were expected to be much higher than those across New England, New York, New Jersey and other states in the region. In fact, forecasts called for a high just shy of 60 degrees on New Year’s Eve. If escaping the cold has even been on your radar, now is the time to check out Folly Beach rentals for the coming summer months and next winter. As local real estate experts will tell you, the fact that Folly Beach is so family-friendly is another reason why many vacationers end up becoming permanent and long-time residents. There’s no shortage of things to do – nor weather to enjoy – in and around Folly Beach. For starters, this city of about 2,600 residents is located directly along the Atlantic Ocean. That location allows for the 1,000-foot-long Folly Beach Pier -- the second-longest on the East Coast -- to prosper. This ocean-side city is also home to the Morris Island Lighthouse, built in 1767; Wave Watch Playground; surfing stores and spots as well as other water sporting options. Better yet, a drive to downtown Charleston is a mere 12 miles and 20 minutes so adventuring out from Folly Beach rentals to South Carolina’s second-largest city is easy to do. It’s easy to see why so many folks are looking to spend more time in The Palmetto State after exploring Folly Beach and all it has to offer; the fact that low temperatures in the teens and single-digits aren’t in the winter forecast just sweetens the deal. Under the banner of “Always Something New to Discover,” an already successful Charleston-based tourism firm will helm advertising efforts for the entire state. This should come as welcome news to those keeping tabs on real estate progress in the state’s largest city, as Touchpoint Communications will have plenty of inherit knowledge about what sells in Charleston and beyond. According to a Nov. 29, 2017 article from The Post and Courier newspaper, Touchpoint will now be in charge of public relations for South Carolina. This is also an encouraging move, given the fact that Touchpoint already spearheaded a publicity stunt that shattered a Guinness World Record. (It was for a 2,500 gallon iced tea, by the way.) Among expectations that Touchpoint will need to meet in South Carolina -- a state where there’s been a 6.4 percent population increase over the past six years -- will be to “generate even more media exposure for South Carolina, with an emphasis on undiscovered destinations,” the firm’s director told the newspaper. For those researching Charleston SC homes for sale, we’re happy to report that there is a good amount of real estate-based news coming out of the hometown of Touchpoint Communications. One such recent headlines notes that the city’s first skyscraper will be hitting the market and a historic mansion could be the most expensive property ever sold within city limits. The asking price for the former is $16.5 million while the latter could sell for $19.5 million. If these sales do indeed go through for the marketed price, we’re certain that they will be feathers in the cap that Touchpoint can tout to prospective residents wondering what the quality of life in Charleston is like. For those looking for something a bit more affordable, there are plenty of Charleston SC homes for sale that won’t break the bank. All it takes is finding a local real estate company that has decades of experience working in the local community. For example, Carolina One Real Estate boasts more than 50 years of realty experience and can help those seeking to buy or sell a home make the right decisions along the way. It doesn’t matter if you’re coming to South Carolina for the fabulous weather and easy ocean access, for the burgeoning business sector or as a young professional looking to settle down in a relaxed atmosphere, it simply makes sense to seek out a real estate company that can link you up with the landscape that’s the right fit. As a vital part of Isle of Palms real estate, not to mention tourism economy, plans to renovate the city’s landmark boardwalk are currently being floated. According to local news reports, the $500,000 needed to upgrade the two-decade-old destination would come from tourism funds – which are already in the city’s coffers. Given the number of people searching for vacation rentals in Isle of Palms SC, it should come as no surprise that the city has the funding available to improve the already desirable boardwalk. In fact, thousands of people vacation in Isle of Palms annually due to its proximity to Charleston but easy access to Atlantic Ocean beaches and the relaxed atmosphere, as well. According to the Nov. 28, 2017 CBS article, discussion at a recent city council meeting debated when the issue could come up for a vote. While it’s possible that the subject could be tabled until early next year, city leaders and the new mayor-elect voiced the desire to have the projected completed in the near future. This should come as welcome news to anyone researching vacation rentals in Isle of Palms SC. It shows that the new administration is dedicated to improving existing amenities and adding to the already strong list of attractions. 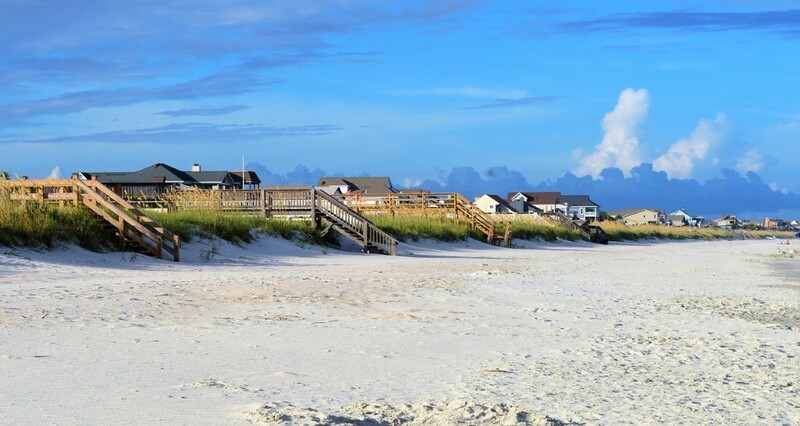 Those desirable places to visit include the county park, which was developed in 1996, beautiful beaches and piers with scenic views as well as the 1,600-acre Wild Dunes golf course – which has been voted one of the best courses in the state by Golf Digest magazine. 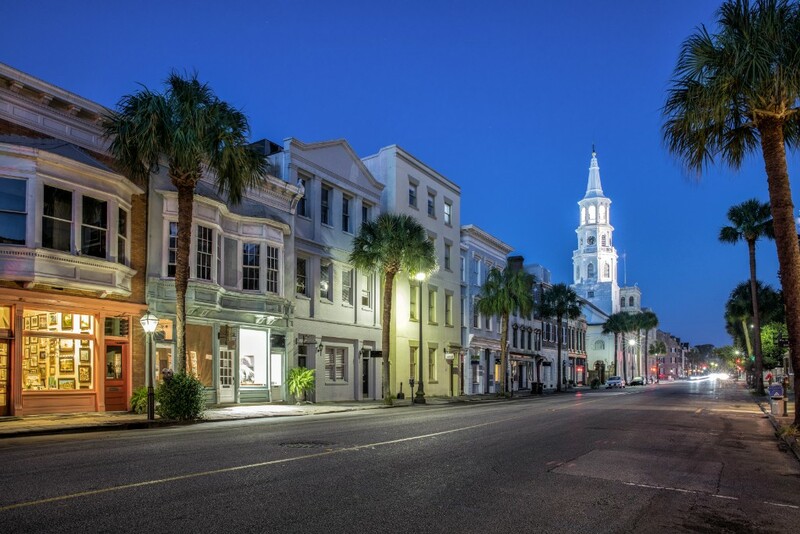 However, downtown Charleston and the countless attractions it offers to visitors of all ages is less than 20 miles away so those seeking vacation rentals in Isle of Palms SC can make a day trip whenever they want. The essential step that precedes finding a vacation home is linking up with a real estate company that has an unrivaled knowledge of the region. In instances such as this, companies like Carolina One Real Estate can boast decades of combined real estate experience. That means those looking for vacation rentals in Isle of Palms SC can work with a realtor who can find them the housing they need in a convenient part of the city. At seven miles long and one mile across, vacation homes can be at a premium in Isle of Palms. That being said, trusting the resources of a real estate company with strong ties to the South Carolina community is a sure-fire way to secure the lodging you need when beautiful summer weather returns. A new business is rising in the West Ashley district of Charleston and its impact on shopping options is bound to be appreciated by residents. According to The Post and Courier newspaper, construction of the “outparcel” building was expected to wrap up in the fall ahead of businesses moving in before the end of 2017. This is great news when it comes to real estate in Charleston, as the newspaper notes that new construction comes alongside two new leaseholders signing on to an existing portion of the retail center. All told, two new restaurants and a Navy Federal Credit Union bank will have new homes once construction is complete. This latest economic development is of great interest to those involved in Charleston SC real estate. That’s because it adds to the already juggernaut-like status that the city has gained after being voted second-best city in the world by the readers of readers of Travel + Leisure magazine. The survey also bestowed the honor of best city in the U.S. upon Charleston for the fifth year in a row. With such progress being made, it’s easy to see why those looking to relocate to the largest city in South Carolina are in need of a knowledgeable real estate company. By trusting a company that has decades of combined experience learning the lay of the land when it comes to Charleston SC real estate, you’re certain to find the home that’s the right fit for you. When it comes to West Ashley, where the newest shopping center is currently under construction, hopeful homeowners should know that this portion of the city is known for both its scenic views of the Ashley River and no less than a dozen major shopping centers that add to the convenience of living here. However, one of the best ways to find the portion of South Carolina and surrounding communities that fit your needs is through online research. Browsing the websites of the best Charleston SC real estate companies like Carolina One Real Estate will teach you plenty about properties in Isle of Palms, Seabrook Island, James Island, Mount Pleasant, Kiawah James and more. Armed with this knowledge of what’s on the market, realtors can then help you better determine a place to live that’s going to make your commute to work, for example, a sheer breeze. If you’re considering a move to the Palmetto State or are a recent South Carolina transplant, we encourage you to find a Charleston SC real estate company that can link you up with everything from a residential home in a good school district or ocean-front property for vacation purposes. Some call them “secondary cities” but to those who’ve invested in real estate there, locations such as Charleston, Isle of Palms and Mount Pleasant SC are anything but first-rate locations. This is the point that’s driven home in an Oct. 27, 2017 article from Mansion Global, a Dow Jones & Company publication that focuses on high-end real estate and buyers who have their eye on the world’s best markets for business and pleasure. According to the article, those researching real estate sales in U.S. regions that haven’t been overdeveloped should turn their eyes to the south. That’s because, as Mansion Global points out, the price of admission is lower in Charleston or Mount Pleasant compared to say, New York City. Therein lies the hook; it’s time to look past Washington, D.C. and Los Angeles if we want to find prime real estate in strong or emerging markets with well-established healthcare, educational and commercial markets. As the article outlines, a “secondary city” is one with a population well under 3 million residents but remains in the crosshairs of real estate companies due to their influx of new residents. Charleston, which has added approximately 100 residents per day in recent years, has a population of about 134,000 people. While Mount Pleasant SC is called home by far fewer than that (approximately 84,000 as of 2016), its proximity to one of South Carolina’s hottest cities will likely boost its reputation among luxury real estate and business-minded investors. If you care about scenic settings, infrastructure and quality homes, then Mount Pleasant SC is the place to be. This town that’s a mere 20-minute drive from downtown Charleston is also known as the “pleasant side of the river.” Founded in 1860 and now the fifth-largest city in South Carolina, Mount Pleasant SC was recognized in 2006 as one of Money magazine’s top 100 places to live. For those exploring oceanfront property in the South Carolina region, there are plenty of places on the market in Mount Pleasant with asking prices hovering around the mid-$400,000 mark. If you’re interested in obtaining advice regarding real estate sales in the Mount Pleasant or Charleston region, we advise readers to trust local real estate services companies who can offer a thorough knowledge of the towns they cover and local clients they’ve since turned into year-round residents. Plans to make the marina here even more “people friendly,” according to local media reports, proves that local leadership of the Isle of Palms community have quality of life issues close to their hearts. According to an Oct. 12, 2017 report from a local CBS news affiliate, the city could seek $5.5 million via a bond to foot the bill for major renovations to the marina. The marina, which is located at 50 41st Avenue, will hopefully be upgraded and redesigned. The new amenities of the marina are said to include new docks, additional pedestrian access, a kayak launch dock and public dock for those with disabilities. What’s more, the report notes that more parking spots for cars and golf carts as well as space for boat, trailer and fuel storage are planned. Presently, the website for the marina notes that this top-of-the-line facility offers a double-wide boat ramp, well-lit docks, city water access, wireless internet, private showers and more. A public meeting is planned to address the bond issue, targeted improvements and “community revitalization,” according to the CBS report. As with most major municipal bond issues, the $5.5 million question will be included on November’s ballot as a referendum question. Fortunately, the CBS report notes that if approved, there will be no additional tax burden for Isle of Palms residents; debt on the bond “will be paid from marina revenues and tourism funds,” the report states. The proposed ballot question, which will be put to the public on Nov. 7, 2017, adds that the project will be under taken as a two-phase project. What does this mean for those searching for Isle of Palms SC vacation rentals? Put simply, this is a community where quality of life is first and foremost – as evidenced by plans to upgrade a main attraction of the area. For those who love being as close to the water as possible, Isle of Palms SC vacation rentals are perfect for you. That’s because this barrier island town town of about 4,000 residents, as of the 2010 U.S. Census, gives you the chance to get out on a charter boat, fishing boat, cruise ship or take a waterway tour. Of course, there are the beaches and other relaxing ways to enjoy a summer breeze in Isle of Palms, but the significance of ships in this area is evidenced by plans to significantly upgrade the town’s marina. While the Intracoastal Waterway separates Isle of Palms SC vacation rentals from the South Carolina mainland, it’s a mere 18-mile drive to downtown Charleston. By choosing to reside in Isle of Palms, you’re never far from the attractions of South Carolina’s largest city, but you’re still able to enjoy the amenities of this barrier island town. According to Southern Living, the once-a-year survey gives readers a chance to nominate the best attractions of the areas in the magazine’s coverage zone. Further, the magazine gleans information from the survey and gets a little more acquainted with some off-the-beaten-path destinations that have turned into local favorites. Additional categories for the best-of-the-south competition include barbeque joints, beaches, festivals, hotels, small towns and more. According to the magazine, other South Carolina towns that Folly Beach is up against include Myrtle Beach, Isle of Palms, Sullivan’s Island and a half-dozen other well-known destinations. The survey ends in early October so fans of Folly Beach will need to keep their eyes peeled for the results. Singing the praises is easy for those who’ve found the perfect Folly Beach rentals. That’s because this community is loaded with tourist attractions and historical sites that make it a worthy contender for the Southern Living competition. For those who’ve spent time exploring the six miles of coast along the Atlantic Ocean, the allure of this peaceful and picturesque place is undeniable. Truth be told, many of vacationer seeking Folly Beach rentals have turned into full-time residents due to the quality of life in this city that’s a 20-minute and 11-mile drive from nearby Charleston. 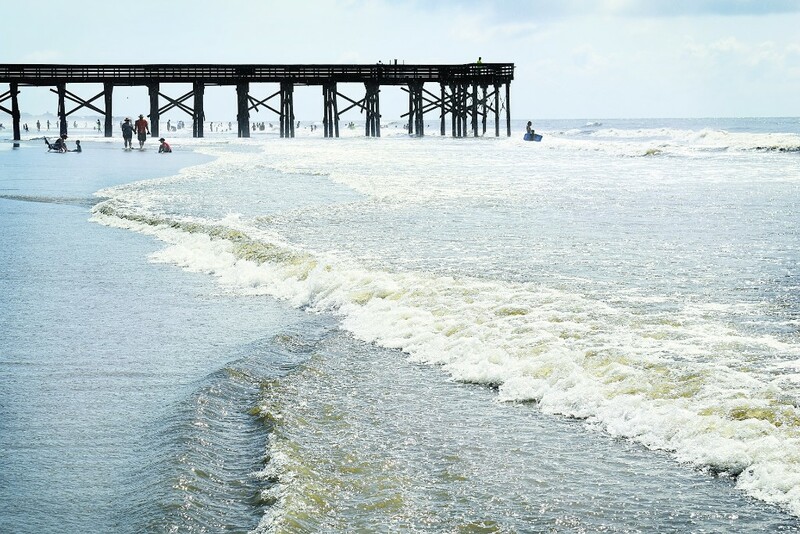 One afternoon spent strolling along the Edwin S. Taylor Fishing Pier -- which is the also the second-longest pier on the East Coast -- is just one way to get a taste of Folly Beach’s many flavors. 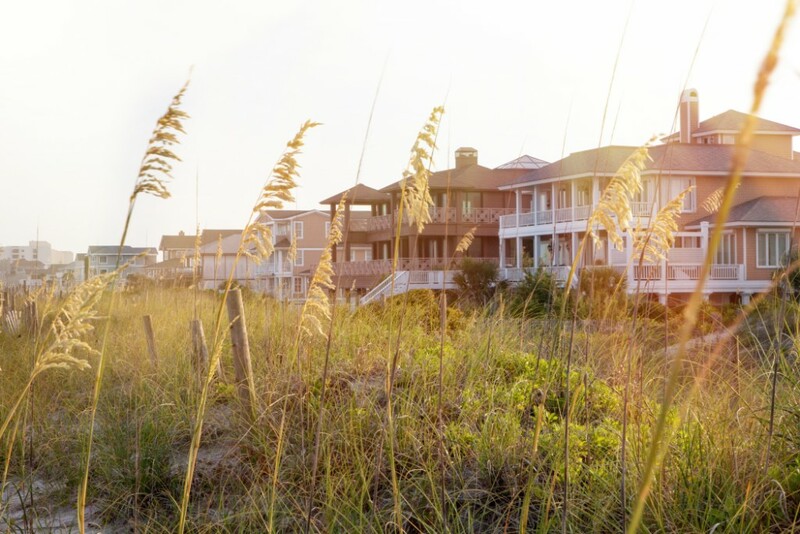 By trusting the skilled and local realtors from Carolina One Real Estate, you are sure to receive educated input and information as your search for Folly Beach rentals. That’s because we’ve learned what it takes to be expert real estate agents and bringing aboard those who’ve got their ear to the ground in Folly Beach has been a hallmark of our operations for a long time. With online voting nearly closed for the Southern Living poll, we encourage you to go one step farther and see what this community has to offer you – in person. Charleston’s turnaround has been thoroughly documented and it continues, this time with a newspaper from the north coming down to explore the recent boom of a northern Charleston neighborhood. While well-known to locals, the Aug. 29, 2017 The New York Times article explores Upper Peninsula’s impressive development. Given its growth from “small houses, warehouses and metal sheds,” as the Times report puts it, into the thriving brainchild of a New York City developer, it’s another feather in Charleston’s cap. Stephen Zoukis, who was a partner in Jamestown Properties, told the Times that the objective he shared with the partner in this Upper Peninsula turn-around was purchasing lots of land – eventually taking on 20. “You looked at a map of the city and clearly people had to move up the peninsula because there was no place else to go,” Zoukis told the Times. The eventual result of this project would be cater to the tech sector and encourage new and existing companies to come under the same roof of Pacific Box & Crate. Tenants of the include a real estate brokerage firm, a cyber security company, a crowdfunding company among other organizations and workshops. With Upper Peninsula serving as the example here, many are looking toward Charleston SC rentals as a way to become part of this South Carolina community that has seen success across the board. Those looking to reside in Charleston SC rentals have plenty of neighborhoods to choose from. 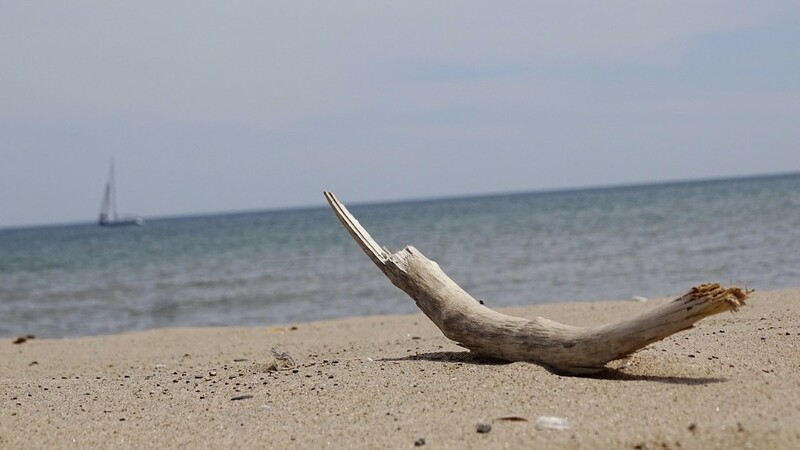 While Upper Peninsula may be in the limelight here, there a half-dozen other regions of the city that offer a wide array of living options situated alongside entertaining attractions that regularly draw residents and tourists alike. The tourism powerhouse that Charleston is becoming has also propelled it to top U.S. destination for the fifth year in a row, according to the readers of Travel + Leisure magazine. By trusting the services of a local real estate company, you’ll have experienced locals on your side who can help find the best Charleston SC rentals to fit exactly what you’re looking for. That means a well-rounded knowledge of each neighborhood, its strengths and the type of individual, couple or family it is best suited for. Take the time to find the right real estate company and you will soon see why so many other newcomers to Charleston have discovered why it’s time to call this city home. Summer in any language spells trips to the beach. The climbing thermometer, extra days off from work and desire to hit the road in search of the sea drives many of us toward the coast. 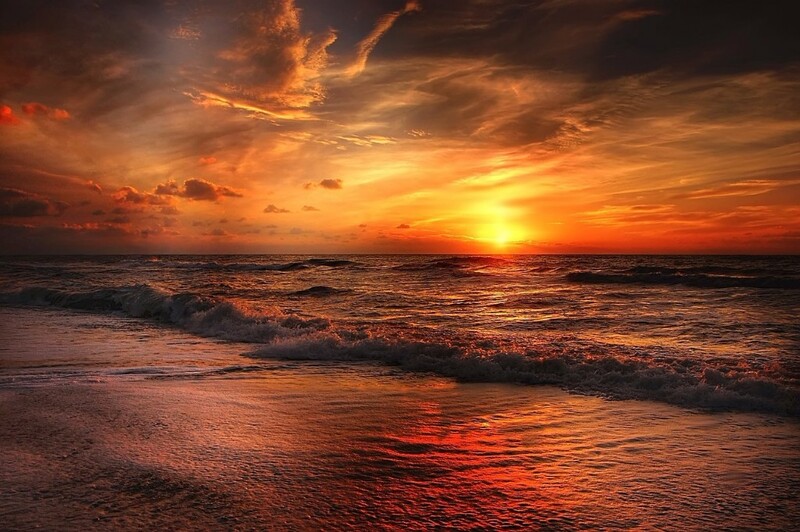 However, as Labor Day approaches, it becomes apparent that there’s precious time left to sink our feet in the sand and bask in the setting sun. That doesn’t have to be the case in South Carolina, as Folly Beach rentals can give you the year-round pleasures that only regular beach-dwellers will appreciate. That’s because the average fall temperature at this barrier island that extends far into the ocean and is often called “The Edge of America is a pleasant 65 degrees. You might not want to go for a swim, but those 65 degrees are still plenty to allow those living in Folly Beach to stretch their legs. Year-round surfing, bird-watching and fishing opportunities near the Edwin S. Taylor pier are an undeniable perk for those looking to enjoy the Atlantic Ocean given their proximity to it. Go kayaking around James Island or try your hand at sailing and paddle boarding; there’s no reason not to get your feet wet if you’re so close to the water! Best of all, Folly Beach is never overwhelmed by any influx of visitors during the summer months and the “low tide” (so to speak) as they return home until next season is when residents of Folly Beach rentals can appreciate the surroundings that run along 2,500 feet of oceanfront land. Plan a fall camping trip along the shore to really reunite yourself and family or friends with nature. Folly Beach rentals located on this family-friend stretch of land offer the best of both worlds and it’s recommended that you consult a skilled real estate company to assist you with your search for property. That’s because Charleston, which is located a mere 11 miles away from Folly Beach, has been experiencing a period of great growth and economic viability. Capping those gains off were recent honors from Travel + Leisure magazine, the readers of which voted it the no. 1 place to visit in the U.S. While approximately 134,000 people live in Charleston, the population of Folly Beach is far less than that – and that’s one of the draws. Those looking for a more calm way of living but still seeking a 20-minute drive to the nearest city for employment or leisure activities would do well to research what Folly Beach rentals have to offer.